I recently wrote a blog about Corfu Island, a small but important location in WWII. Reader Marcia Lahti commented that Wake Island had an important and interesting history as well. Intrigued I went to my computer and started digging. I was astounded at what I discovered. Originally annexed in 1899 for a cable station, Wake Island is an unincorporated territory of the United States. One of the most isolated atolls in the world, it is administered by the Air Force under an agreement with the Department of the Interior. Did you know that? I certainly didn't! That fact sent me digging further to see just how many more territories I didn't know about. Turns out there are sixteen-perhaps that will be another blog. Wake is a tiny island, only three square miles in diameter-about eleven times the size of the National Mall in Washington, DC. Wikipedia claims there are 94 inhabitants, but another website indicates there are about about 150 military personnel and civilian contractors. Either number seems quite small to me. The island's main activity is the operation of the Wake Island Airfield which is primarily used as a mid-Pacific refueling stop for military aircraft. It is also used as an emergency landing area. The Battle of Wake Island occured simultaneously with the attack at Pearl Harbor. On December 8, Japan hit the island with thirty-six bombers then returned on December 11 with a naval force. The U.S. Marines and the civilians constructing the air base successfully defended the coast for twelve days. They managed to sink two destroyers and a transport, but on December 23 Japanese reinforcements came from Pearl Harbor and over-ran the island. As a result, over 1,600 Americans were captured and sent to POW camps. The island remained under Japanese occupation for the duration of the war, and nearly 100 American civilians were held on the island to perform forced labor. On October 5, 1943, the occupiers realized an Allied invasion was imminent and excecuted the civilians. 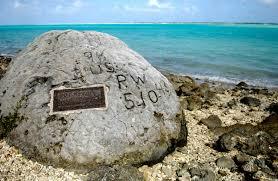 During the event one of the prisoners escaped and carved a memorial into a large rock: '98 US PW 5-10-43.' He was later caught and executed. People worldwide continue to remember the Texas Alamo as a heroic struggle against impossible odds — a place where men made the ultimate sacrifice for freedom. 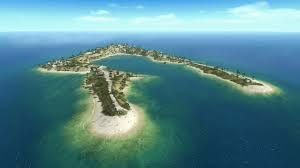 I say we should also remember Wake Island.